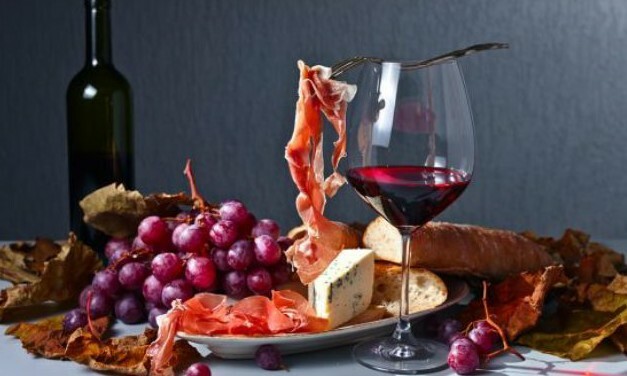 As well as for the landscape, Puglia also charms for its culinary traditions, characterized by native products, with enhancement of raw materials and mostly made up of “poor” dishes. Making a selection of those to try is not easy, so we will only tell you those not to be missed! Typical dish of the peasant tradition, that the wives prepared for their husbands to refresh themselves after the hard days spent in the fields. The preparation is a bit ‘long, but your taste buds will thank! After soaking the beans in water for at least 12 hours, rinse and cook in a pot with plenty of water and bay leaves. Cook over low heat, closing the pot with the lid, adding a little ‘salt, for about 2 hours: as the beans will release a froth that must be removed with the skimmer. Separately, boil the chicory in salted water, drain and set aside. Continue cooking the beans, stirring constantly, until they have the consistency of a mashed potatoes. 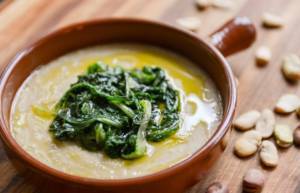 Once ready lay the bean purée in the dish with the chicory side by side and season with extra virgin olive oil. Serve the hot dish accompanied with bread or croutons. Specialties of the Valle d’Itria, which boasts an enviable quality of meat, the bowls are pork rolls that cause a real explosion of taste. Widespread in the butcheries / restaurants area where you can choose your favorite product that will be cooked at the moment! Just a few ingredients are enough to prepare them, which can be combined according to one’s taste. 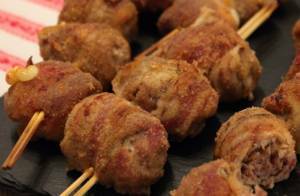 The original recipe is to form capocollo rolls with salt and pepper, to be filled with bacon and cheese, and then breaded. 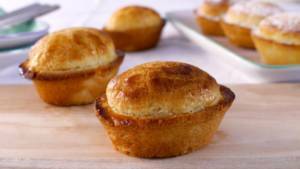 The rustics are delicious crunchy discs of golden puff pastry with a soft filling of béchamel, tomato and mozzarella inside. To prepare them, simply roll out the puff pastry onto a floured surface and cut out 4 discs of 12 cm in diameter and 10 cm in size with a coppapasta. Prepare the filling, placing 2 tablespoons of béchamel on the top, the diced mozzarella and a little ‘tomato previously salted and seasoned with a little oil. Overlap the remaining pasta discs, joining the edges. Once brushed with the beaten egg, they should be baked at 180 ° C for 30 minutes. The pasticciotto, according to the most, was born from the skilled hands of the confectioners of Galatina, a few kilometers from Lecce, in 1745. It is a cake made with shortcrust pastry and cream that can contain an amarena, which gives it a flavor single. To prepare it, roll out the pastry with a height of 3-4 mm, line the oval molds, fill with the custard and cover with another pastry. Brush with the egg yolk and bake at 200 degrees for 25 minutes. They serve lukewarm, enjoy your meal! 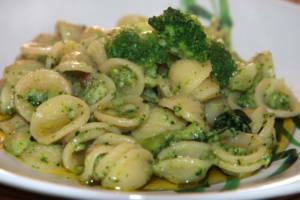 Orecchiette with turnip tops are the first dish par excellence of the Apulian culinary tradition. Plate dating back to the 1500s in which the few native ingredients come together in a perfect combination of flavors. This is handmade pasta with the classic shape of a small ear, from which they take the name. North of the Valle d’Itria you can easily come across nice ladies who, through the alleys of the city, produce them by hand, with enviable dexterity, allowing you to attend the particular procedure. A dish as good as it is easy to prepare! Put the leaves of turnip greens to boil, deprived of the stem. While cooking the pasta, drain the turnips and sauté them with the chopped anchovies, a clove of garlic, oil and chilli if you like it. Complete with toasted breadcrumbs and ricotta cheese * seasoned if you want. * cacioricotta is another local specialty to try. It is a seasoned ricotta, excellent alone or to be used as an alternative to parmesan. You can also buy it as a cadeau for your friends and relatives. Apulia exclusive houses will be at your disposal to suggest commercial establishments from which you can stock up to fulfill your every desire.